Radioactive is everywhere at the moment – from advertising the latest Assassins Creed game, to featuring on the soundtrack to The Host. Originally released on the band’s ‘Hear Me’ EP, it’s a powerful piece of pop-rock with a dub-step beat that shudders with apocalyptic force. Yet anyone expecting the full album to provide the same rush will be sorely disappointed. Imagine Dragons are at their best when embracing pop wholeheartedly. The band are clearly capable of writing a catchy hook as ‘Night Visions’ is full of them – whether on the moody jangling guitars of Amsterdam, the harmonious chorus of rock ballad Every Night, the sing-along Cha-Ching (Till We Grow Older), or Underdog that’s catchy in a Super Mario sort of way. What’s most frustrating, however, is that not only is the band’s songwriting wildly inconsistent, but depending on where you listen to the album the tracklist can totally change (beyond a few core tracks) with a total of 20 possible tracks to choose from. That inconsistency extends to the band’s style, which is quite frankly all over the place. Tracks such as Tiptoe and Bleeding Out might mirror Radioactive with their dark electronic inflections, but elsewhere we have plinky-plonky Mumford inspired pop-folk on It’s Time and On Top Of The World, pure pop on Every Night and Working Man, calypso chiptune inspired guitars on Underdog, a dreadful church organ offering false drama on Nothing Left To Say and Temper Trap-esque atmospherics on The River and Rocks. The biggest influence, though, is fellow Las Vegas band The Killers. Their anthemic, stadium indie-rock sound seems to be Imagine Dragons’ default mode – to the point that they frequently sound like a Killers tribute act. Hear Me is the worst offender in this respect, with frontman Dan Reynolds sounding eerily similar to Brandon Flowers. English hip-hop producer Alex Da Kid provides some moments of inventiveness dispersed across ‘Night Visions’ – it’s no coincidence that those tracks are the album’s most successful, Radioactive included. It proves that a dash of creativity added to the band’s propensity for pop hooks can result in solid pop-rock tunes. As a whole, though, Imagine Dragons’ debut effort fails to match their potential. 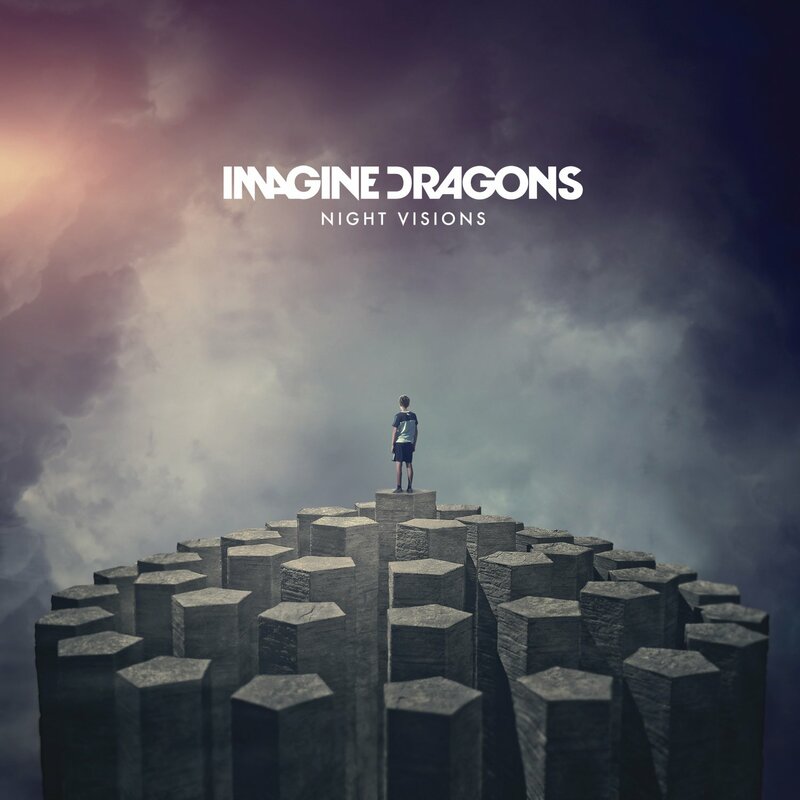 Listen: ‘Night Visions’ is available now. Watch: Imagine Dragons are touring in Europe throughout April.